Being Vegan | How to make Almond Cheese? Soak the almonds in hot water for 5 minutes, so you can pop the skins off. Put the almonds, water and probiotic powder in the blender and mix, adding more water if necessary to achieve a smooth, creamy texture. 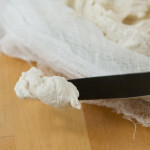 Get a strainer (a plastic berry basket works great) and line it with cheesecloth, allowing several inches of the cloth to drape down around the sides. Set the strainer on top of a shallow baking dish, and pour the mix into the cheesecloth. The baking dish will catch the liquid as it drains from the cheese. 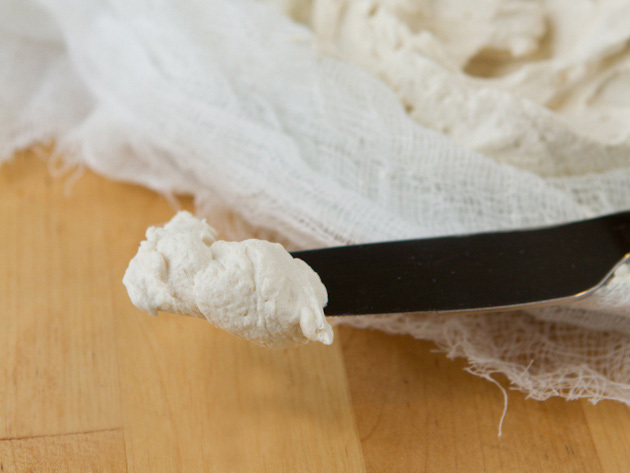 Fold the excess cheesecloth over the top of the cheese and place it in a warm location to ferment for 8-12 hours. Taste test at this point, if you want the cheese flavor stronger, continue the fermenting process up to 24, 48 or even 72 hours. After about 2 hours of fermenting place a weight on top of the cheese to help press out more of the excess liquid. After the cheese has fermented to suit your taste, season it to your liking and store in a sealed glass container in the fridge for up to one week. You can add some flavors and spices, making it perfect for you palate and needs.